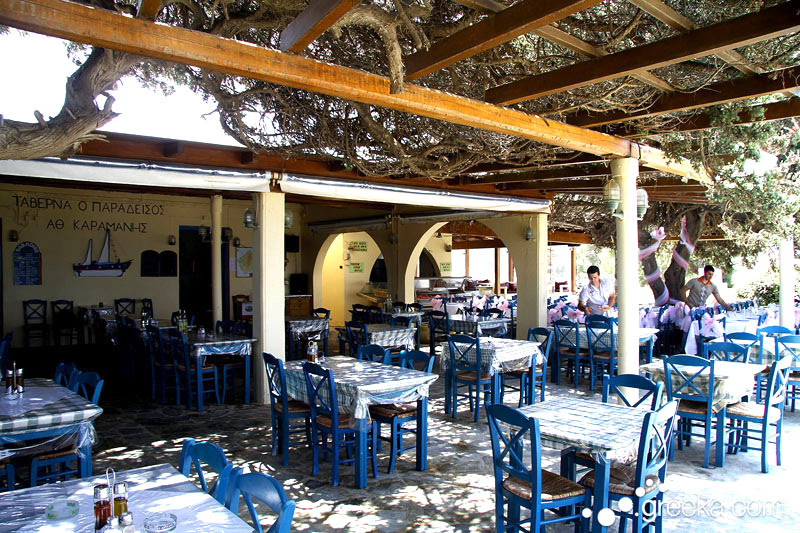 In front of the Paradiso complex, right on the edge of the beach is the taverna Paradiso, which has been open since 1978. It is a very popular place and a meeting point for old and new friends from all over the world. 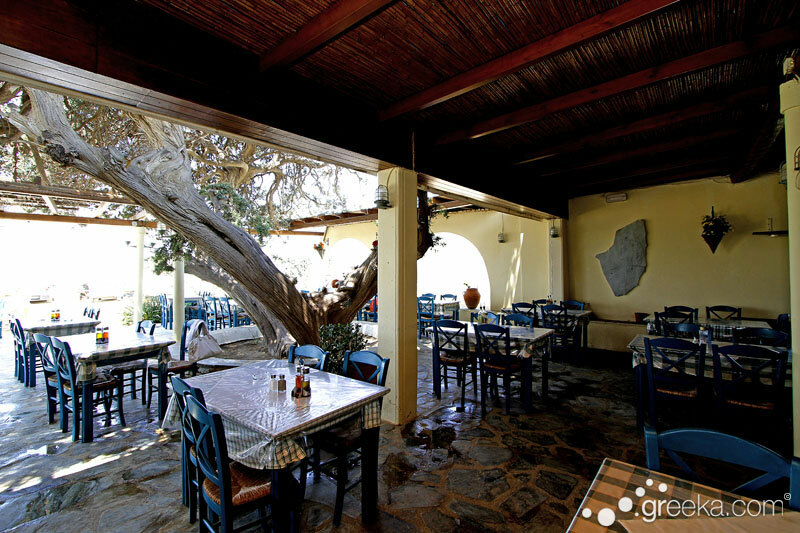 Here in between swimming and sunbathing you can enjoy a big breakfast, a variety of fresh salads, greens, cheese pies, giant beans, "papoutsakia" (aubergines stuffed with mince meat), stuffed meat burgers, goat, roast pork and many other dishes along with the local wine, all accompanied by popular Greek ballad music. Every day there is a wide choice of fresh fish available. The meat used by the restaurant come from local animals and the vegetables come from the owner's garden thus ensuring their freshness and quality. Relax and enjoy the sunset and on some evenings, "happenings" with live music.